This Is one of my favorite books. And one of my most recommended books. Basically, it is a history of the Supreme Court. 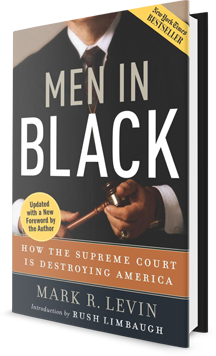 The author goes over the country's founding fathers intent for the Supreme Court and its limitations in the constitution and goes into how the Supreme Court has usurped its constitutional authority by abusing such elements as the interstate commerce clause and taking the initiative of what is give into the legislative branch. That is, legislating. There are many who are turned off by Mark Levin's aggressive and sometimes abrasive debating style and may will not give the book a chance. But while he is very aggressive in his debating style, he did this book in a very serious and scholarly way. I felt like I was a constitutional scholar after reading this book a few times! If you like what is going on in the country, Or if you do not like what's going on in the country, This book explains the role of the Supreme Court as it is limited in the United States Constitution and points out how policy in this country is supposed to be made and executed rather than being dictated by the Supreme Court, which does not have the authority to do so. I recommend this book to everybody, No matter where they are on the political spectrum.